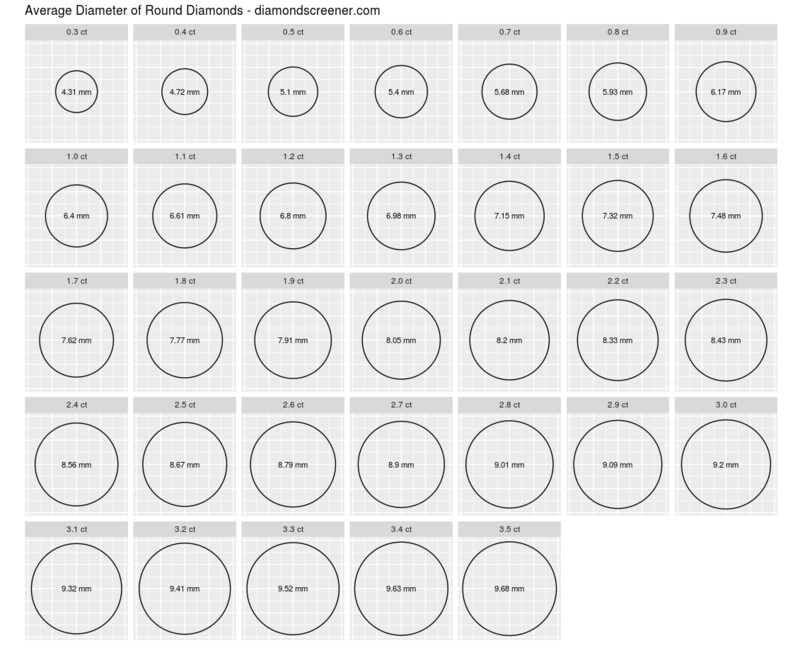 We’ve estimated the average diameter (mm) for excellent cut round diamonds using measurements listed on Blue Nile. Many diamond size charts tend to overestimate the diameter of a diamond for its carat weight. The diameters below are based on actual diamonds listed for sale rather a theoretical carat/mm conversion formula.